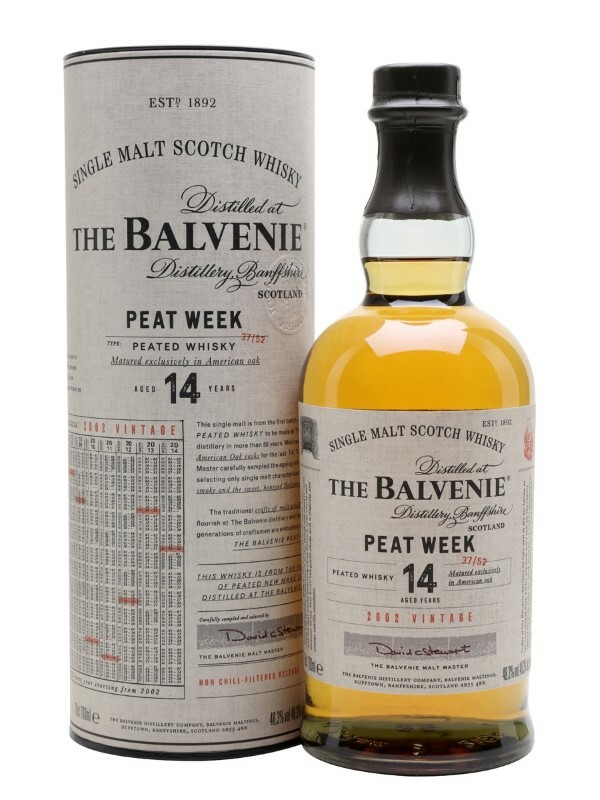 The Balvenie Peated Triple Cask Aged 14 Years is the result of trials undertaken in 2001 by The Balvenie Malt Master David C. Stewart MBE and our former distillery manager Ian Millar. The trials were started at a time when few Scottish distilleries were producing any whisky at all due to a slowdown in the Scotch industry. It was Ian’s drive to innovate and David’s need to create new flavours that lay the foundations for future whiskies with peated malt. Our peated whiskies are a testament to the freedom we enjoy as a family company and show The Balvenie in an unexpected way, but remain true to our distillery style.